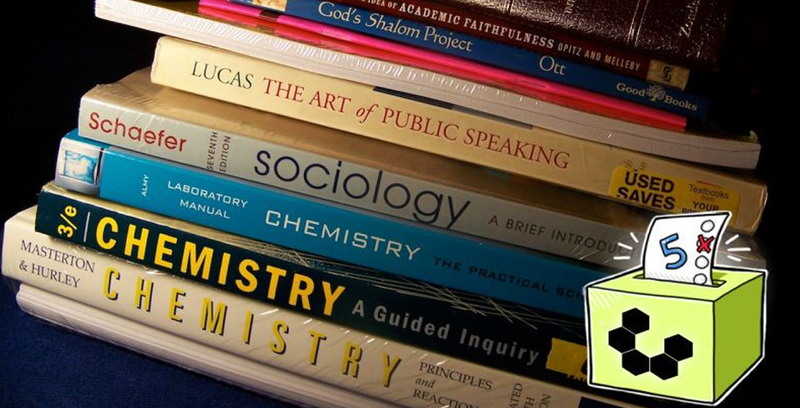 How to Get the Most Money for Your Used Textbooks? College and university textbooks seem to remain outrageously priced regardless of where you study. It can seem like there’s a new edition being published every semester for every single class. Hopefully your books are covered by your tuition, but if you’re paying out of pocket it can be a hard blow to your wallet. Most schools sell their textbooks directly through an on-campus bookstore. If you’re paying for your own texts it may be wise to shop around and get a used copy if you can. Sometimes that’s not possible and your professor will require you to purchase a brand-new edition. Whatever route you go to get your books there are very easy steps you can take to get the most money back when your done with them. The condition of your books is the number one priority when planning to resell them. Never write on the pages even if it has a marginal notes section. Any books with words or scribbles found inside are going to be valued far less. That includes putting your name on the cover. If you absolutely can’t stand writing on scrap-paper then just buy some sticky notes and use them on the pages. Be careful how you carry your texts. Just throwing them into a book bag can cause unnecessary wear on the edges, mare the paper, and even loosen the binding of a book’s spine. Always utilize heavy duty book covers and only carry around books when you need them. Try to have a dedicated storage place for any texts when they aren’t in use. It’s best not to let anyone borrow your books too. If you already know what you’re going to be studying or what pages you’ll review, then it’s a great idea to skip using the book completely by using a scanner. You can make digital copies of pages, print off a few quick references, and even catalogue the entire book digitally on your laptop. There are some programs you can use that converts scanned images into Searchable formats. You can enjoy convenience and a big return when you sell your textbooks. If you try to sell your books back to your school bookstore or local bookstore, then you’ll usually get a lot less for them than if you sold them yourself to an online company. There are businesses who special in used college textbooks and are willing to pay you a more-than-fair price. You don’t have to waste time on auction sites waiting for someone to buy your book, and then dealing with the hassle of shipping. Places like BooksRun take care of everything for you and make getting you paid a lot faster. You’re going to get more from a book that isn’t outdated. Try to resell your textbooks before a new edition comes out if possible. You can easily get a better price if the book your selling is up-to-date and in high demand. If you feel confident with your studies then just go ahead and sell your text before the class is over. Take notes and utilize them in place of the book. You’re sure to get a better deal if you don’t wait long. Go out and try a few of these tips next semester to see how much money you can make off of your used books. With careful planning you can maximize the return on your scholarly investment this school year.